GM Bryan Smith grew up in Anchorage, Alaska, and currently splits his time between Novi Sad, Serbia and Philadelphia, Pennsylvania. Some of his accomplishments include first place in the 2008 National Chess Congress, 2009 National Chess Congress, 2010 Philadelphia International, and 2011 Limpedea Cup. 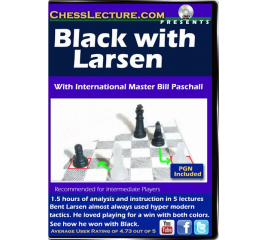 He was on the national champion UMBC chess team from 1999 to 2001, and became a GM in 2013. In this series, we get to see how Carlsen deals with a variety of opponents, from amateur level players, to average grandmasters, to super-grandmasters. To begin with, we see his round one win against Bardur Birkisson. Komodo is a commercial chess engine that is consistently ranked near the top of most major chess engine rating lists. It heavily relies on board evaluation rather than depth, and thus has a distinctive positional style. Its forte is to play when there is nothing to play. On this DVD, Grandmaster Eugene Perelshteyn plays 4 rounds with the silicon monster showing us his games and the insight he gained while playing against Komodo. IM Bill Paschall currently resides in Budapest, Hungary. Bill was the Bolyston Chess Club Champion 2002, 2 time Massachusetts Champion, finished 1st at the Foxwoods Open Champion and has defeated more than 20 IGM's in tournament play. Bill has extensive experience training both adults and children privately and in the schools. 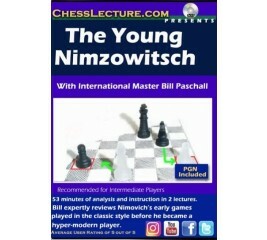 IM William Paschall reviews 2 amazing early games of Nimzowitch when he was playing in the classic style and before he became a hyper modern master. 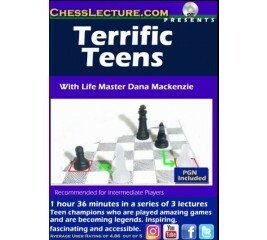 Life Master Dana Mackenzie reviews games of some of the up and coming top teen players. 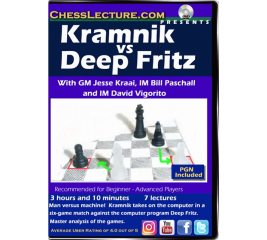 ChessLecture masters GM Jesse Kraai, IM Bill Paschall and IM David Vigorito analyze the limitations of the computer and Kramnik’s steering of games into the computers limitations of this historical event. 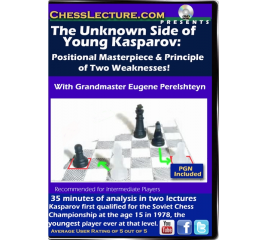 International Grandmaster Eugene Perelshtyen shows you the “unknown side of Garry Kasparov” through his early games against others who also went on to become well known grandmasters. Salomon Flohr (November 21, 1908 – July 18, 1983) was a leading Czech chess grandmaster of the mid-20th century and became a national hero in Czechoslovakia during the 1930s. He dominated many chess tournaments of the pre-World War II years, and by the late 1930s was considered a contender for the World Championship. He was known for his clear strategic play and excellent endgame technique that secured him many notable victories. Paul Keres was an Estonian chess grandmaster and chess author. Keres was among the world’s top players from the mid-1930s to the mid-1960s. during which he narrowly missed a chance at a world championship match on five occasions. 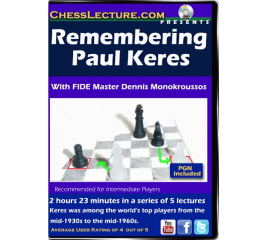 on this DVD, FM Monokrooussos has chosen one of Keres' stellar games from each decade of his career. In this DVD series Bryan examines in depth 8 of Fischer’s amazing matches and explains them in detail. Anthony John Miles (23 April 1955 – 12 November 2001) was an English chess Grandmaster, the first Englishman to earn the Grandmaster title in over-the- board play. Miles was very influential in modern chess. His creativity in the openings was legendary his creativity in general was legendary. 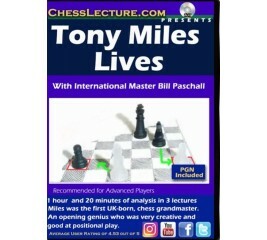 On this DVD, IM Paschall explores 5 of Tony Mile's most amazing games with Hypermodern lines. FIDE Master Dennis Monokroussous explores amazing games throughout history that end in tragedy for the master that appeared to be winning. Games with Chigorin vs Steinitz, Botvinnik vs Bronstein, Benko vs Kerres, Lasker vs Blackburne. Taking place in Tromso Norway 1,570 players participated at the Olympiad in 2014, with 881 men and 689 in the women's section. The number of participating teams was 177 from 172 countries in the open section and 136 from 131 countries in the women's section. In first round games opponents are frequently vastly unequal and the best players are playing the weakest players from the opposing team. In this DVD Bryan shows us first round matchups of unequal opponents gives us a great opportunity to see masters games unfold relatively unchallenged and how they are excellent learning opportunities. In this series Bryan shows us Rubinstein playing against world class players in a variety of openings showcasing his brilliant play which is often called a work of art for its simplicity and technique. 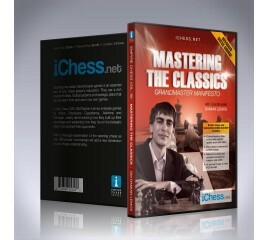 GM Damian Lemos had this in mind when he decided to record a DVD on “Mastering the Classics”. 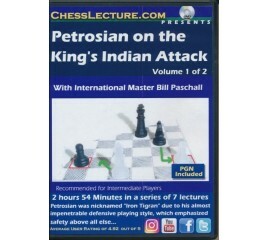 This collection features games from the World Champions Jose Raul Capablanca, Alexander Alekhine and Tigran Petrosian, 3 phenomenal talents with different styles to give you a broad range of material. Bent Larsen was a well-known Danish Grandmaster. Famous for his imaginative and unorthodox style of play. 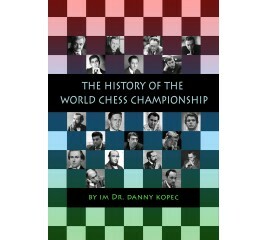 He was the first Western player to pose a serious challenge to the Soviet Union’s dominance in chess. He is considered to be the strongest player born in Denmark and the strongest from Scandinavia until the emergence of Magnus Carlsen. 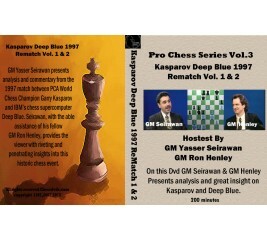 GM Yasser Seirawan presents analysis and commentary from the 1997 match between PCA World Chess Champion Garry Kasparov and IBM’s chess supercomputer Deep Blue. Seirawan, with the able assistance of his fellow grandmaster Ron Henley, provides the viewer with riveting and penetrating insights into this historic chess event. GM Jesse Kraai and Bryan Smith in combat over the board. 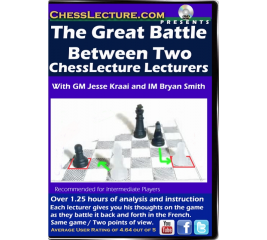 An exciting account of two great minds in a struggle over the board and in the French: 1 e4 e6 2 d4 d5 3 Nc3 Nf6. 2 lectures , 2 points of view, same game!